The LEDVANCE brand describes the ethos of our company. We want to define the role of light in the digital age and in people’s connected daily lives. 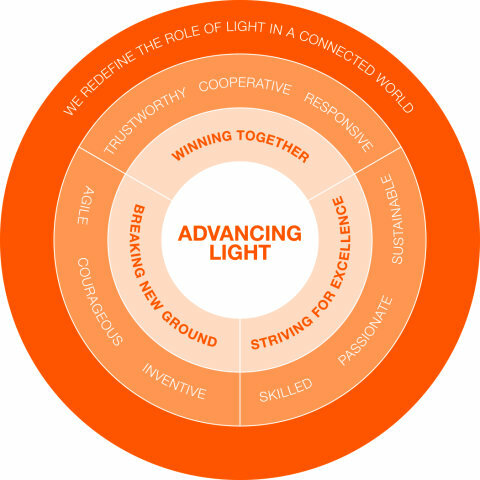 Our promise is reflected in the company name – our objective is to advance light. 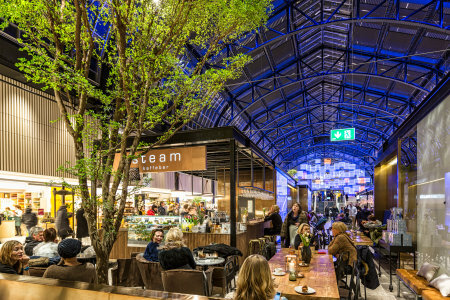 LEDVANCE can draw on a 100-year heritage as it looks to the future, reinforcing its position as a leading manufacturer of lamps and luminaires. In the USA and Canada, the well-known and established brand SYLVANIA is used across all product categories. LEDVANCE also has the right to use the OSRAM brand. In the fields of smart home and LED luminaires, all consumer products will be sold under the OSRAM brand name in the short term until we have completed our re-branding program. In this segment, LEDVANCE will then also be used as a product brand. We will use the product brand LEDVANCE for LED luminaires which are sold wholesale to our professional customers such as architects and craftsmen. 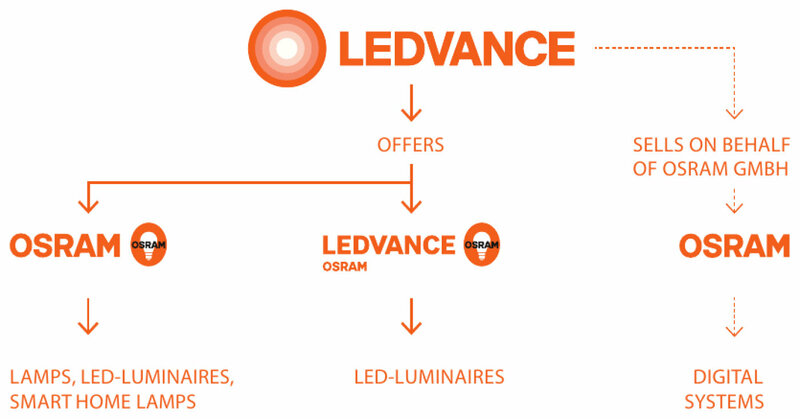 To support this business, LEDVANCE may use the brand OSRAM in the next few years as a complementary brand. We are proud of our very powerful organization and our highly qualified and motivated workforce – people who take responsibility, take calculated risks and make bold decisions. We rely on the willingness of individuals to learn and grow professionally. Only then can we achieve sustainable success. We are engaged, agile and courageous. We leave the beaten track to explore new paths. We see the rapid transformation of our industry as an opportunity for new products, new markets and new thinking. Good is not good enough if better is possible. That is why we welcome lateral thinkers and reward inventiveness. We trust each other. And we talk to each other. Across all hierarchical, divisional and departmental boundaries – openly and directly. We listen, give feedback and learn from each other. We pride ourselves on our teamwork and cooperation – both within the company and with our customers. This is how we build long-term, trusted relationships.